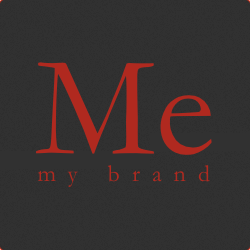 Personal Branding.., why you should? Some say a person cannot be a brand, or that a brand that is a person isn’t personal. Whatever you want to call it, it helps to create a clear and consistent personal profile on the web. If you have to change your job or attracted a new client or a new project it helps to have a good on-line profile. But, personal branding can also be useful when staying with your current company. Creating a personal brand is not just about presentation, it’s about growing, finding your path and (on-line) identity, joining or creating communities and creating and sharing knowledge. In short, your personal brand is about personal growth. For starters.., do a search for your ‘brand’. See what comes up and if it is to your liking. Chances are, if you have a Twitter- or LinkedIn account, you already have quite a “search” presence, you already have a personal brand. Make an inventory and change what you want. You are the brand. Unless you are a gifted con-artist, a devoted undercover cop, a sneaky spy or a compulsive actor you need to be yourself. It is by far the easiest part to play. It prevents you from having to remember stories you can be called upon to tell during an interview, for instance. If there are things about yourself that need improving.., improve them. Do a study, follow a course or training…. Choose how you want to present yourself and how you want to go about it (but be authentic about it, point #1). Are you a freelancer then the presentation should be a bit more exhaustive than when you choose to stick to that one job you like. Write your various profiles to tell the same basic story. And use the same avatar (profile picture) as much as you can. These are just a few pointers to help you get started. Google can help you a lot further. Employers can benefit from employees with strong personal brands. It can enhance the company brand when some employees are influencers, subject matter experts or though leaders in their field. And when treated properly, those employees would not want to leave the company, it could be a win/win situation. So, basically there is no reason why you should not spend time on your personal brand, or your on-line appearance. After all.., anybody can use Google, and wouldn’t it be nice that when they do, they find exactly what you want them to find. Do you work on personal branding?